When you or a loved one are detained in the Cobb County Jail, nothing is more important than obtaining fast Cobb County bail bonds. When people are incarcerated, they are unable to work or be with family. Their lives are completely on hold, and if they don’t obtain a release soon, they could lose their job, car, and even their home. That’s why Anytime Bail Bonding, Inc. has bondsmen available 24/7/365 to service Cobb County. We are located at 771 Buford Drive, Lawrenceville, GA, 30043. Call now (770) 339-9000. Anytime Bail Bonding, Inc. has provided service in Cobb County since 1994. We understand that the Cobb County Jail is no place to be, not for one minute longer than absolutely necessary. Whatever the time of day or day of the year, whether a busy weekday afternoon or Christmas Eve, we are standing by to get you or your loved one freed from Cobb County Jail. Call Anytime Bail Bonding, Inc. for bail bonds in Cobb County. 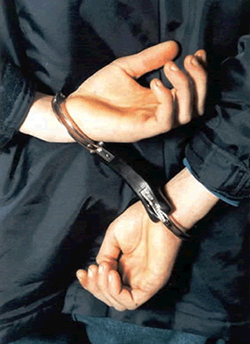 Call an Anytime Bail Bonding, Inc. Cobb County bail bondsman as soon as possible after an arrest. We can be reached at (770) 339-9000 anytime. Our bondsman can expedite release from the Cobb County Jail. Don’t delay. The sooner you contact Anytime Bail Bonding, Inc., the sooner you or your loved one is released. How Much Do Bail Bondsmen in Cobb County Charge? In Georgia, a magistrate judge sets bail shortly after an arrest. For some charges, bail amounts can be prohibitively high. Since defendants are innocent until proven guilty, they are permitted to use a bail bonding service, so they only have to come up with part of the bail. Bail bondsmen in Cobb County charge 15 percent of the bail amount. Once the 15-percent fee is paid and the defendant signs a promise to appear in court, the defendant is released. Anytime Bail Bonding, Inc. makes the bail bonds process in Cobb County easy for our clients. We understand that no one plans on getting arrested. Being taken to the Cobb County Jail never happens at a convenient time. To get out of custody in Cobb County, all you need to do is call Anytime Bail Bonding, Inc. at (770) 339-9000. Our professional bondsmen collect the needed information and can secure a release in a matter of hours. If faced with a high bail amount, ask about our payment plan options. Anytime Bail Bonding, Inc. provides bail bonding in Cobb County, as well as throughout Georgia and the United States. As your Cobb County bail bonds company, we provide service for both state and federal bonds. We are a leading member of the Georgia Association of Professional Bondsmen. Additionally, we are the ONLY Georgia agency to receive National Board Certified Agency status by the Professional Bail Agents of the United States. Our bondsmen take pride in their work. They understand the urgency families feel when a loved one is in custody. Getting our clients out of Cobb County Jail fast is our specialty. Call now: (770)339-9000.